Accurate email verification with 99% guarantee. 15+ Advanced AI powered checks. Real-time API for all accounts. We are processing your request for a free trial. This may take up to a minute. Please stand by. Give it a shot. Test an email! With our Email Verification & List Hygiene services you can improve exponentially the emails that don't bounce and reach your clients inbox. This can increase your ROI exponentially in your marketing efforts and also prevent lead loss by implementing on your signup forms. Our proprietary algorithms guarantee that your valid emails will be delivered after verified and validated with our system. Our robust, highly accurate and highly available system can handle over 50M Email Verifications and Validations per day. Our Email Verifier Platform can reduce the number of bounced emails dramatically, preserving your hard earned email sending reputation and increase your ROI. 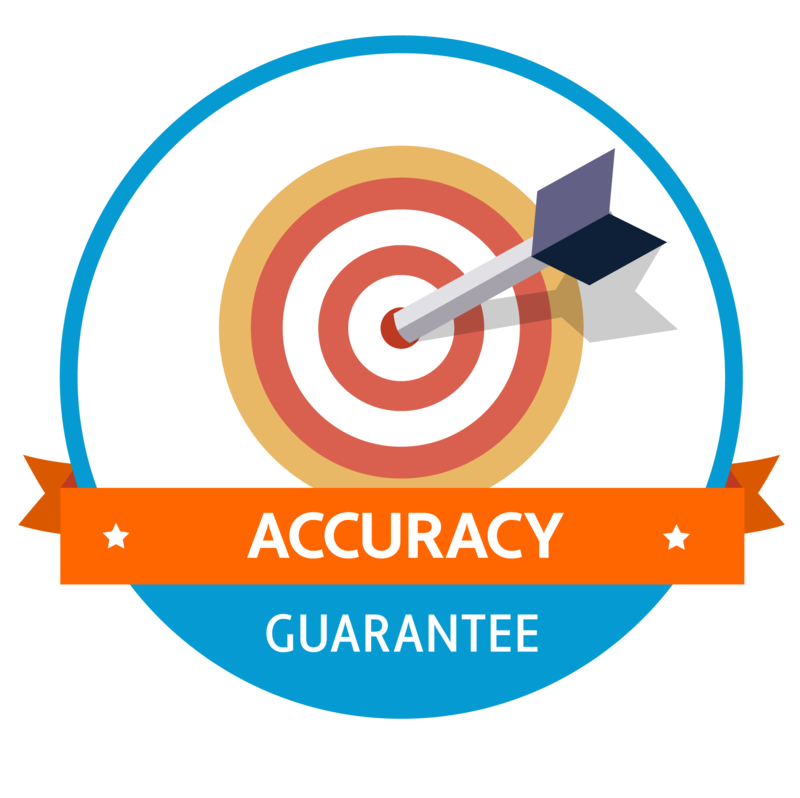 Using a combination of complex algorithms and a continuously improving machine learning process our systems are industry leading on their accuracy. EmailVerifier incorporates 15+ individual checks per email to ensure quality and deliverability. Each individual test is smart, and improves over time as they check more and more emails. Multiple quality indicators are putting your email list into the test to make sure only the best are coming out of our tests. We safeguard your hard achieved reputation by reducing bounces. Bounces over the 2% industry standard pose significant danger of degrading your deliverability and costing tens of thousands to your business. With out Real-Time Email Verification and Validation API you can integrate our sophisticated algorithm directly into your ERP, marketing application, web application forms and email marketing solutions. 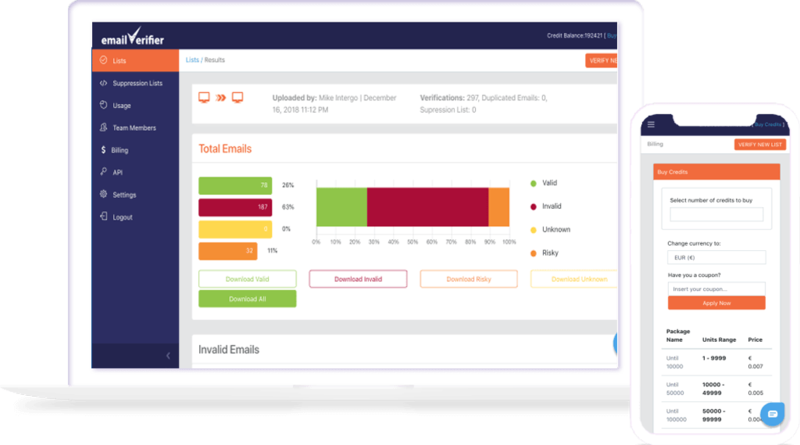 Get real time and accurate email validation results with a simple request. Get 50 free email verifications!